Summit is mere days away. One of the things I do each year is to figure out a short list of people I want to meet or get to know better. My list doesn’t include all the “SQL Celebrities” either. It includes people I’ve gotten to know through twitter, people whose questions I’ve answered when I’ve taught over the web, and people whose blogs I’ve come across. I make sure that I have some international people on my list as well. I think this is very important since the US is only one of 52 countries represented at Summit. One of my favorite memories of my first summit was sitting at a table at midnight with people from around the world and around the country, talking about SQL. So I challenge you. Who you gonna meet at Summit? You can go here to start compiling your personal list. You are definitely on my list! 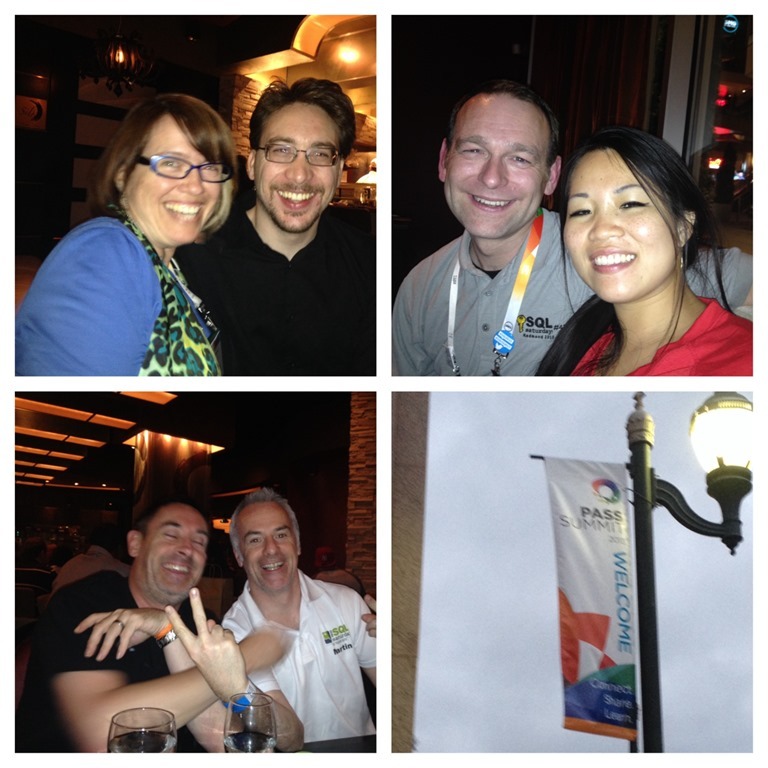 Would love to catch up Since Summit 2013 and SQL Cruise 2013. Hope to see you soon.